Have you been enjoying Summer's bounty? 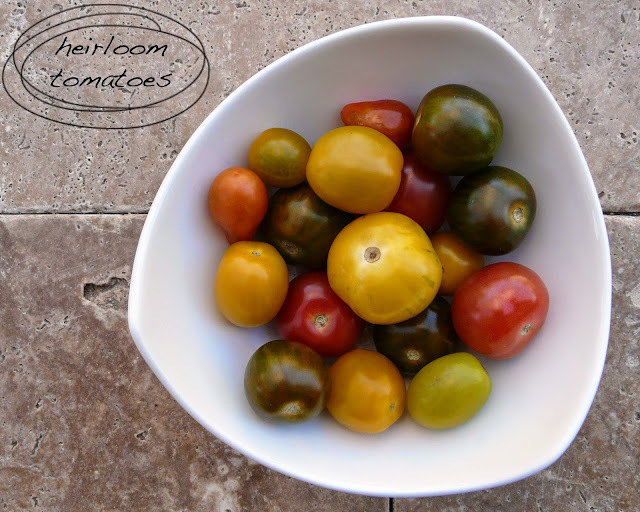 I'm digging these miniature heirloom tomatoes that are out right now. Look at those beautiful colors. Not to mention they taste so much better than the regular stuff. I'm partial to roma tomatoes for cooking, but these are great for topping a salad or for just popping in your mouth for a quick snack. My favorites are the dark green tomatoes. I call them "watermelon" tomatoes because of their dark green striped skin and red flesh, but I think they're actually called Zebra Tomatoes.